In a dream I was busily sticking fruit stickers on an envelope, so when I woke up, I did it. 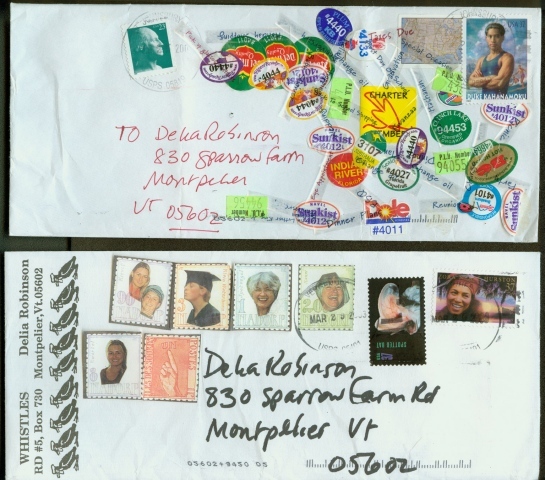 Among the homemade stamps is a copy of one made by the incomparable artist Don Evans. These envelopes are the sort I make for SASEs when I jury for shows, mainly because they get returned. Both of these brought positive news, so perhaps excess brings luck.